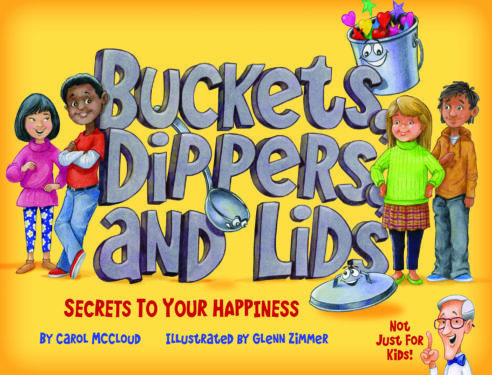 Our latest NAPPA Award-winning books bring a sense of whimsy and promote well-being. Pick up a copy to enjoy with your family. Go on a retro adventure with Claire and her special bear, Benny. 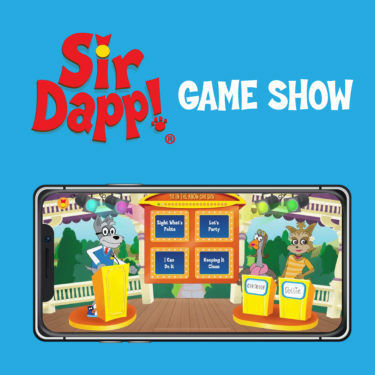 You’ll learn lots of interesting facts about the World’s Fair and enjoy a sweet story about relationships and kindness. 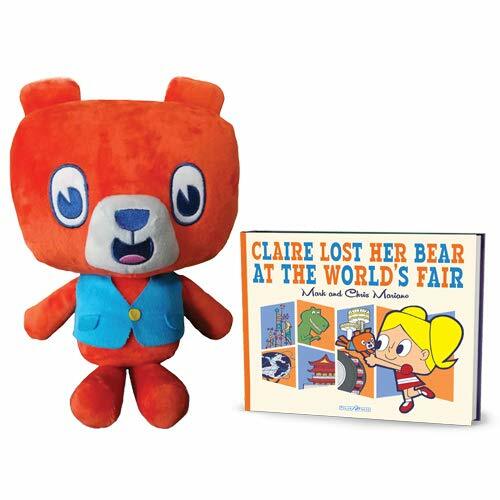 When Claire loses her favorite bear at the 1964 World’s Fair, she finds out what truly matters in life. $34.95, ages 2+. For more award-winning books, visit our Book Nook! We have some new winners that are perfect for Back-to-School time! 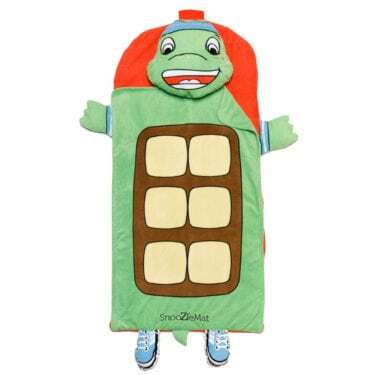 This easy-to-pack sleeping bag is ideal for school naps, sleepovers, and blanket forts. The Snoozie-Mat is machine washable and folds into backpack. You can take the Snoozie-Mat anywhere you want by simply rolling it up and carrying it on your back. 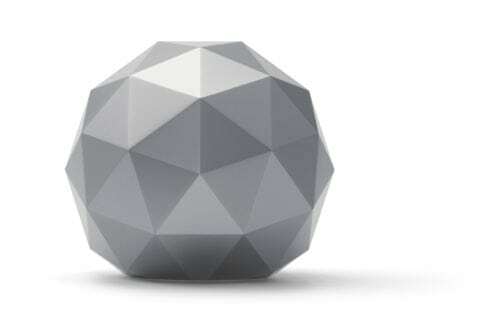 Great for the family car. 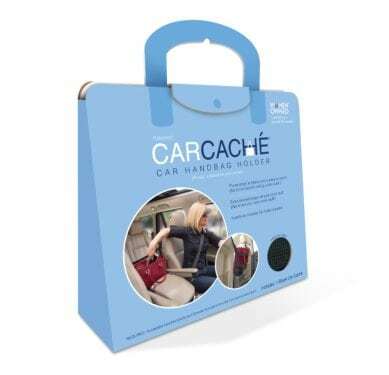 It’s designed to hold your handbag so that it is accessible, upright, clean, and out of passengers’ way. 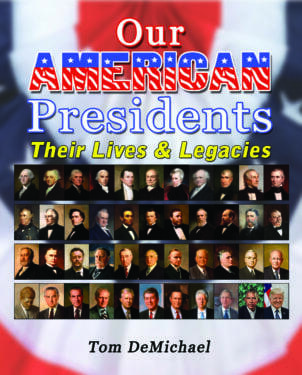 Gives readers a concise look into all 44 Presidents of the United States. The book is easy to read and includes a listing of cabinet members from each presidency. Kids and parents will enjoy learning little known facts, the truth about many “presidential myths” and getting a glimpse into the presidents’ personal lives. For me, getting a locker was the most exciting part of middle school. Having my own space, no matter how small, felt mature, and it gave me a sense of responsibility. As the years went on though, having a locker became more of hassle than a perk because of how messy and unorganized it became. Here at NAPPA, we’ve discovered some great tips to share with your kids to keep their lockers organized, decorative and functional. A great first step to keeping your locker organized and hassle free. Lockers are great for easing your backpack load throughout the day and visiting your locker gives you an incentive and opportunity to keep it clean since nobody likes to open a messy locker. Lockers can go from storage units to trash cans in a matter of weeks. Make sure to empty out any unwanted trash at the end of each day. Putting up photos, posters, artwork and magnets provide a great incentive to keep lockers clean and organized. And it’s a great way to express creativity. Lockers are great places to keep small whiteboards or notebooks where you can write reminders for yourself throughout the school year. Writing down which materials you need for each class can make visiting your locker a breeze, and writing to-do lists for the week can help you keep up with your assignments. A good book can touch our hearts for years to come. Taking us to magical worlds of wonder, teaching us valuable life lessons, and bringing us on adventures are just a few reasons we should all take time to bring out our inner bookworm. These recent NAPPA winners will help make reading your child’s new favorite hobby! Celebrate your little cuddle bug with this sweet and colorful rhyming board book, sure to become one of your family’s favorites! 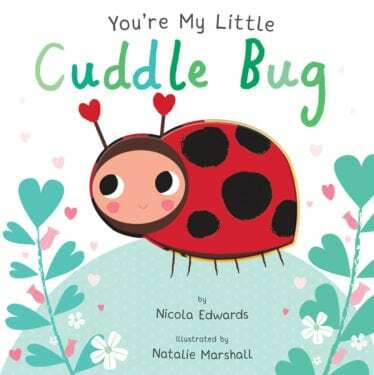 With chunky pages for little hands and die-cut cuddle bugs to add depth and interest, children will love the interactive features alongside the story in You’re My Little Cuddle Bug. From gorillas to kangaroos, get ready to explore the insides of some of your favorite animals and the specialized body parts that help these animals thrive in their habitats. 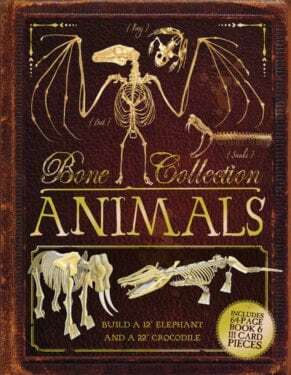 Bone Collection: Animals features dozens of animals with detailed illustrations of their skeletons and information about how their bodies help them move, hunt, and avoid predators. After reading about animals on land, in the water, and in the sky, kids can build an elephant and a crocodile model. This is a fantastic book for your curious kids. Parents will enjoy it too! 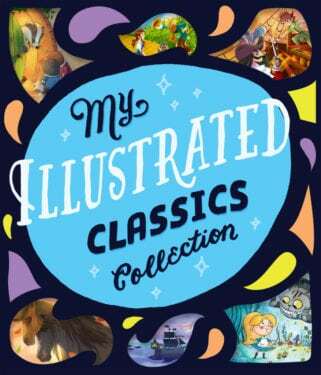 Featuring six beloved abridged classic tales, each with its own modern illustration style, My Illustrated Classics Collection is the perfect read-aloud choice for bedtime. This stunning edition features a beautiful cut out cover and ribbon bookmark, making it a special gift choice. The collection includes shortened versions of Peter Pan, The Wizard of Oz, Alice in Wonderland, Black Beauty, The Wind in the Willows, and Treasure Island. A perfect addition to any home library. Bentley is a lovable honeybee who does not participate in the frantic buzzing of other bees. Instead, he uses meditation to help calm himself and find inner peace. 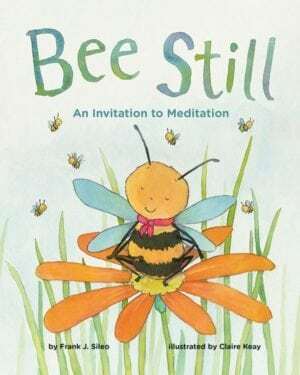 Soon the rest of the forest animals are joining along with Bentley as they sit, breathe, and “bee” still! A “Note to Parents and Caregivers” is included with information on how to teach children to practice meditation and its benefits. 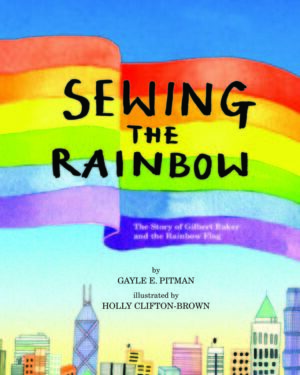 Sewing the Rainbow is the powerful story of Gilbert Baker and the creation of the rainbow flag. This book takes readers from Gilbert’s childhood in a small town in Kansas, to his historic artistic career in San Francisco. Includes a “Note to Parents and Caregivers” with more about Gilbert and the flag’s history. 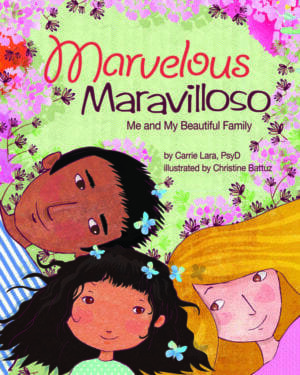 Marvelous Maravilloso is a story from the point of view of a young interracial child about what color means within the dynamics of race, ethnicity, and culture. This sweet, simple story is a wonderful celebration of diversity as it discusses the colors of the world and the colors of the people in a family—all of which make the world beautiful and unique. 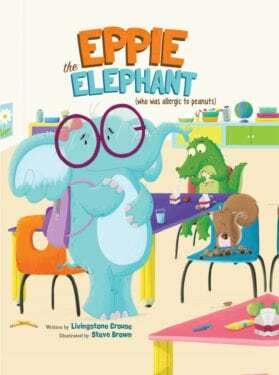 It’s the first day of school for Eppie the Elephant, and she’s a bit nervous about one thing: that her new classmates won’t understand her nut allergy. Like many kids today, this fun-loving elephant can’t partake in peanuts, pecans, or pistachios and has to be careful about what she eats. Eppie makes fast friends with Allie the alligator and Pearl the squirrel, but when Eppie’s allergy is explained at lunch, will her friends still stand by her side? 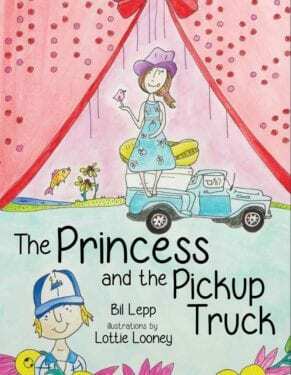 Readers of all ages will relate to this heartwarming, lyrical story of understanding and acceptance. 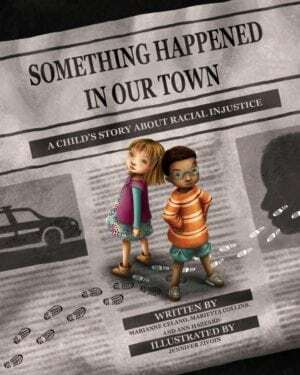 Something Happened in Our Town describes a traumatic event—a police shooting—from the perspective of a White family and an African American family. This story provides an excellent platform for discussing social justice and race relations with children. Includes a “Note to Parents and Caregivers” with other helpful resources. Happy Reading! And remember to PlayLearnConnect with NAPPA Awards!